for all your eye care needs. 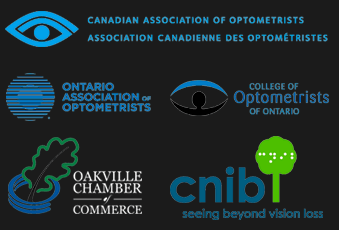 We are dedicated to providing all of our Mississauga clients with top-notch service and personalized care plans while employing the very best technologies and tools to make sure all of your vision needs are taken care of. It also helps that we carry one of Mississauga’s largest selection of glasses, sunglasses and contact lenses. Visit our Erin Mills location today! Extensive eye exams in Mississauga for glaucoma, macular degeneration, cataracts & other ocular conditions. Co-management from your eye doctor in Mississauga. Learn about the incredible technology we use in our Mississauga clinic to give you the best possible eye health. At Erin Mills Optometry we stock a wide selection of modern designer eyewear, including top brands such as Polo Ralph Lauren, Spy, Ray-Ban, DKNY, Guess, Marc Jacobs, Vera Wang, and many more. You can count on professionally fit contact lenses for all of our Mississauga patients. Our Mississauga Optometrists are highly skilled professionals with dozens of years of experience in providing care to our Mississauga area patients. Our doctors have teamed up at Erin Mills Optometry to help patients experience the life-changing benefits of healthy and improved vision as well as stylish eyewear or contact lenses. Dr. Blake Marsden – Dr. Blake Marsden completed his Doctorate of Optometry at Nova Southeastern University College of Optometry in Fort Lauderdale, Florida in 2012. Dr. Kristina Love – Dr. Kristina Love received her Doctor of Optometry in 1995 from the University of Waterloo, School of Optometry. She has been an integral part of our practice for 10 years now.